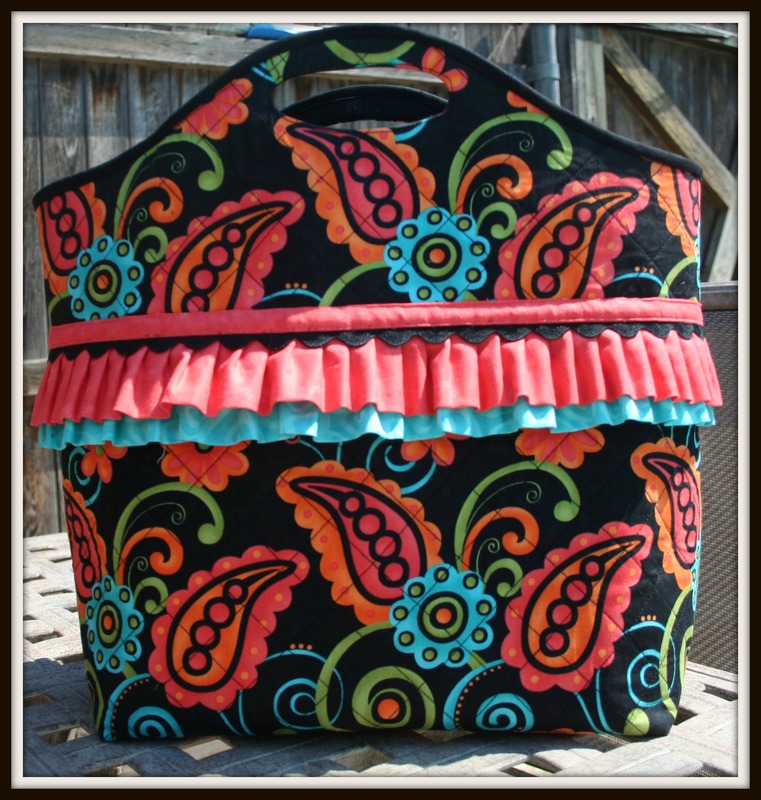 This is the Camilla Bag from Sew Serendipity by Kay Whitt. I have had this on my "to make" list for a while now and finally found the perfect fabric for it. I think the ruffles added a nice girly touch to the bag. It is a fabulous pattern and can be made in several different sizes. The one pictured above is the large tote. It was made especially with my Mother in mind for Mother's Day. She is so fun to sew for and like any good Mom, acts like she loves everything I make for her. 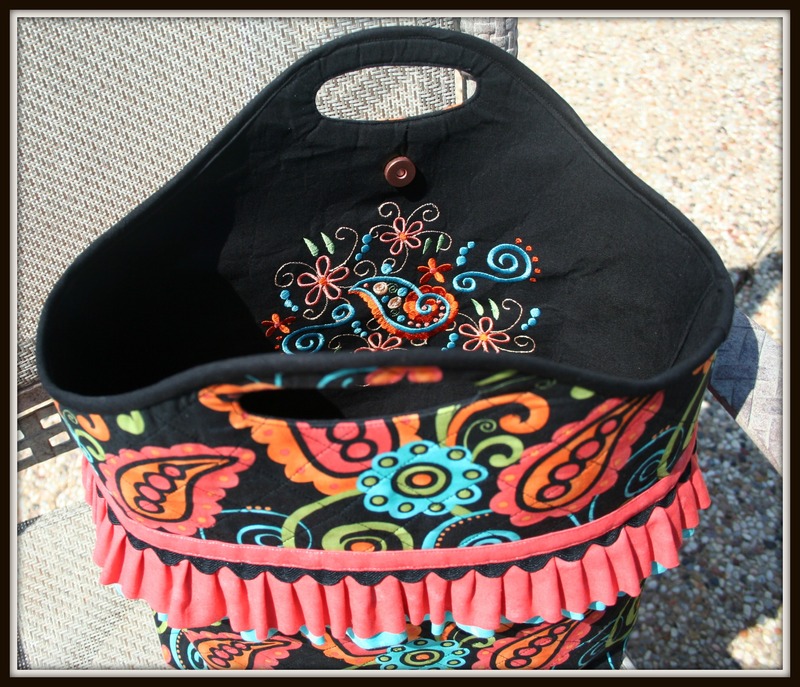 The picture below is the inside of the tote showing the embroidery. I used a combination of designs from JuJu. 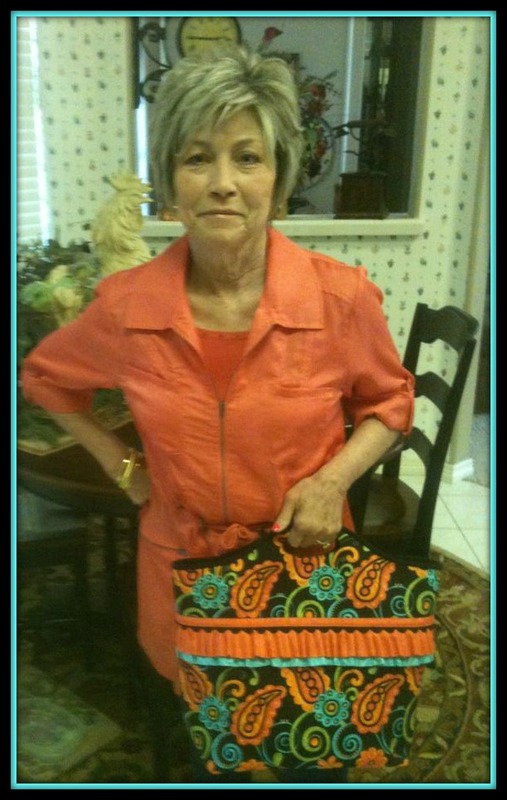 My Dad took this picture of my adorable Mother posing with her new bag - you look cute Mom! Love the matching jacket! I absolutely LOVE this bag! You always do such amazing work, and the embroidery on the inside is such a beautiful touch! I love your bag! I have made this up in the small lunch tote size, but you have inspired me to make the large one. As always, your work and color combinations are outstanding.